Many would think that this is not true. But not when there’s a sale where shopping more means saving even more. 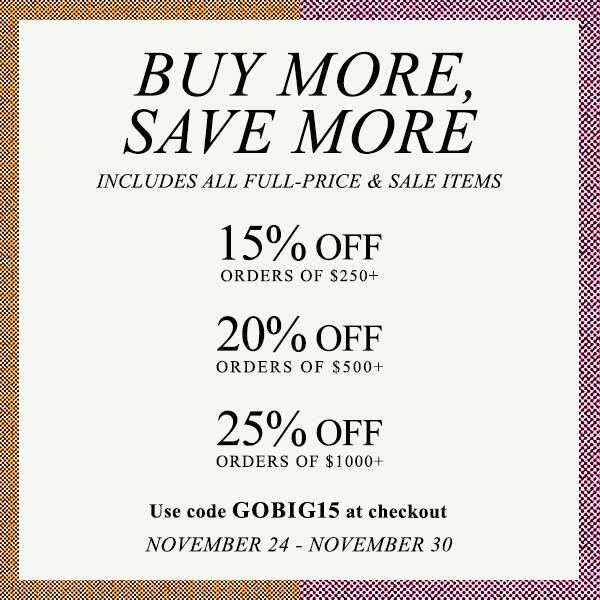 This sale brought to you by Shopbop will begin at 7:00 AM on the 24th of November EST and ends 11:59 PM on the 30th of November Pacific Time. That’s 8:00 PM Tuesday, November 24 and will end at 1:00 PM at December 1, PHT Manila time. Some brands will be exclusive from this offer though so you may have to check their official list of participating brands to make the most our of it. Check them out here.